​YouNet is an innovative, professional and reliable no profit organisation active in the fields of education, training and youths especially in the framework of European programmes. YouNet organises learning mobility and educational activities related to European education, organizational and project management, communication and soft skills, non-formal education, social entrepreneurship and learning mobility aimed to teachers, project managers, trainers and NGOs staff. YouNet cooperates closely with local and regional institutions, especially with Bologna municipality and Emilia-Romagna Region with which YouNet has a formal contract related to the Europe Direct activities. ​Cazalla Intercultural is a local non-governmental organization, located in Lorca, Murcia, in the South East of Spain, founded in 2002. Its mission is to promote active citizenship, social inclusion, youth mobility, voluntary service, sustainable development, stand up for human rights, integration, non-discrimination and against gender-based violence, through non-formal education, youth information and international cooperation. ​Semper Avanti established in 2000, youth association which organizes projects connected to human rights, promotion of tolerance, voluntary service, support of local democracy, spreading information about programmes and possibilities for the development of youth and adults. One of the main aims is working on the civic attitudes of young people. Semper Avanti is a regional organization that focuses on international work with young people, including youth exchanges, voluntary service and youth initiatives. The main aims of the association are:To promote international cooperation and understanding among young people from different countries and cultures, to provide young people with the opportunity to gain international experience for personal and professional development, to encourage involvement of young people in cultural events, to promote Poland and Lower Silesia in Europe. ​Pistes-Solidaires is a European Non-Governmental Organisation providing educational opportunities to young people and the general public, and recognized for its support to the community at large. Our missions are structured around 3 main departments: Educational mobility with a large practical experience of EVS projects as coordination, hosting and sending organisation, European cooperation in different fields -education, social inclusion, social-cultural field, access to work and return to work schemes-, and local development with Europe Direct Information Centre label we received in 2013 from the European Commission. It is helping to make Europe understood in the context of everyday lives, through an understanding of its functions and actions at a local level. K.A.NE., Social Youth Development, a non-profit organization situated in Kalamata,Greece. Local young people founded KANE in 2008 with the aim to develop activities that foster community development and lifelong learning both at local and international levels, based on non-formal education. Our target group is mainly young people aged 15-35 and people involved in the youth field. The organisation's activities focus on the implementation of educational, and cultural activities, mainly for youth, promoting intercultural dialogue, tolerance and active participation. For this, we have created, using own funds, 2 successful self-funded youth structures, the Youth Centre of Kalamata and the Kalamata Street Festival that embrace young people regardless of their backgrounds (social, ethnic, economic, etc). ​Association “Focus - European Center for Development "- Pazardjik was founded like a non-profit organization. Our idea is to promote voluntary initiatives at the local, regional and national level and work to support the development and implementation of the European dimension in Bulgaria. Our mission as NGO is to develop and promote volunteering and also implementation of voluntary work for the benefit of society. 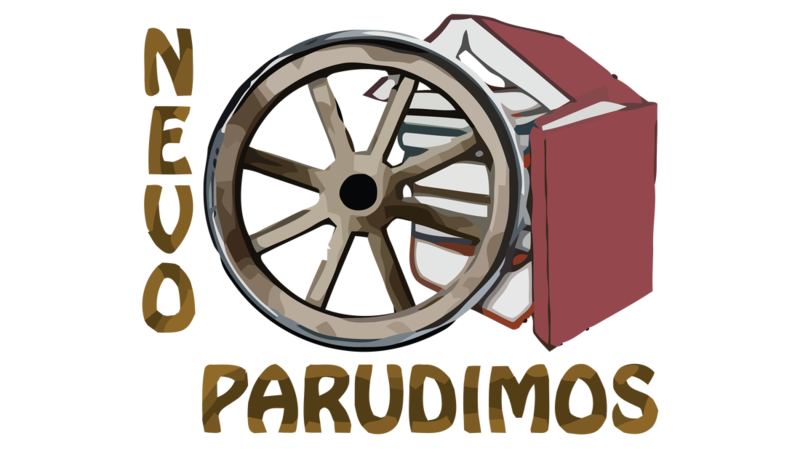 ​Nevo Parudimos Association it’s a noprofit apolitical organisation which was founded by a group of teachers, roma activists and roma students from Caras-Severin county, in the south-west part of Romania in 2008. The aim of the Nevo Parudimos association is to decrease the economical, social, educational and cultural differences in the society. Our activities are split in more fields like: education, culture, social work, community development, human rights and youth work all of them having as promoters our staff and volunteers.